MRDA continues to work internationally to ensure we’re providing as safe an environment as possible to be involved in roller derby with our member leagues. This safety isn’t just about skaters on the track playing a full contact sport, but extends to everyone in our community attending MRDA events and MRDA members who are attending other roller derby events. 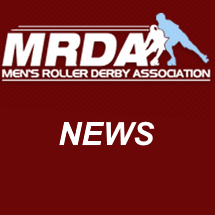 Recently, the MRDA membership voted to adopt a full Sexual Harassment Policy, using language collaborated on by St Louis Gatekeepers and Sydney City SMASH. The policy sets out expectations of behaviour, and actions that can be taken if a breach of the policy occurs. MRDA members can access the updated Policies and Procedures document, including this new policy, via the “Important Links” menu in MRDA Central. Autumn 2018 Rankings & MRDA Champs BracketsMRDA Champs Watch Passes! Get your Watch Passes here!